In this expanded edition, trusted church leadership consultant provides practical advice for churches to articulate their vision, implement their mission, and align their identity and direction. Advanced Strategic Planning by Aubrey Malphurs was published by Baker in July 2013 and is our 27156th best seller. 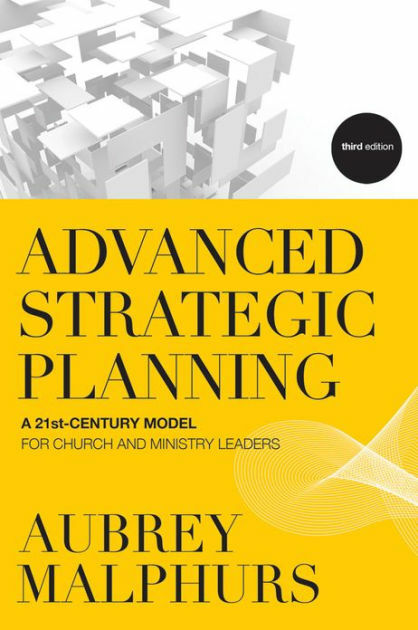 The ISBN for Advanced Strategic Planning is 9780801014550. Be the first to review Advanced Strategic Planning! Got a question? No problem! Just click here to ask us about Advanced Strategic Planning.